I’m very honored that Belsbror has nominated me for this Award. As I understand it, it’s given to people who truly love their blogging experience. Belsbror is a good example of this himself. He sees the unique in the ordinary and he writes about it in evocative ways that mirror his visions. His allusions to diverse concepts in the titles of his posts always intrigue me and draw me in to read more and more of them. I hope you’ll take the time to visit his excellent blog at: http://belsbror.wordpress.com/. It’ll definitely be worth your time to visit this extraordinary blogger and artist. Thank you so much, Belsbror, for this award. I’m very grateful and I wish the best to you in your continuing endeavors. As usual there are rules to this award and I’ll list my version of them now. I’ll start with the hardest one for me, listing 7 things about myself. My 15 nominees are all excellent bloggers who truly do love their work in the blogging world. I appreciate all these sites and more besides, but I’ve already nominated many people I like and I don’t want to overwhelm them so I’m offering a new set of folks to you here than I have in the past. I really like all these blogs and feel that they love what they do and present a blog that engages others and makes them think about new ideas and concepts and gives them a sense of the beauty we all share in this world. It’s an honor to nominate you all and as always it’s up to you if you want to accept the award or not. I just want you to know I appreciate your work and think it’s wonderful and that you deserve recognition. I hope you will follow the rules and accept it but if not that’s cool. Regardless, you have my heart felt congratulations. Thanks for an excellent blog and for offering me a glimpse into your diverse worlds of wonder. All the best to all of you. Thank you for being so loving in your presentations. So that’s it. 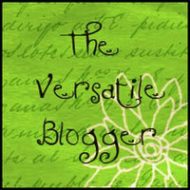 I hope you will go to these delightful bloggers and check out their sites. I’ve followed most all of these folks for at least awhile and have enjoyed what I’ve read and feel that they all love what they do, for various reasons. Some have a burning desire to share what it’s like to be ill in some way and some offer us the joys of gardening in diverse fashions. Some may present other things as well, like travel and photography and visiting the world and showing us things that we might not interact with on our own. This is a wonderful gift these folks are giving to the WordPress Community and I thank them all for being here sharing with us! Peace and love to you all! Well done Steve. Not only have you held up well under the demands of 3 awards in 2 months, but you managed to rejuvenate and refresh each award, before returning it to the WordPress stream in better shape than you received it! Now that is at least worth honorable mention, If not an award in itself!! Oh good. Thanks for that feedback. It’s so hard to know how people will take what you write. I don’t mean offense, just information sharing…. Yes! We are always sticking our necks out to some degree. I find it a little unnerving sometimes. I thought the way you refocused the awards was very timely and thoughtful. I think they start blurring into something generic after they get passed around for a while. If no one stops and tweaks them, I think they would just lose steam, meaning, and momentum. And 8. You are great. Happy New Year!!! 🙂 !!! Oh I appreciate the award, I have not ignored your nomination from a few weeks ago, will address later, but may change the rules like Lonnie from Belmont Rooster……just keep on trucking…gradening-lol…by the way did Belmont Rooster move to another place. I tried to go to his website and it was gone, sure hope he is not gone:-) enjoyed his posts + his generous heart to others. Thank you for your generosity and your gift; it’s very much appreciated. I’ll see what I can do about putting an awards post together as my illness daily affects my ability to see and move, so things are always slow in the processing. I agree that recipients should at least thank the person who nominated them – even if they don’t go in for the follow up process. It’s basic good manners after all. And whether or not you’re into the whole thing, someone has taken the time to highlight your blog and bring it to the attention of other potential readers. And we all like the idea that our work is being read, right? What I particularly liked about your post was the way that you explained what draws you to your nominations. Learning a little bit about the blogs’ content and what it is you enjoy about them gives the reader an indication of whether they too might be suited. For me, there are times that another’s description can send me investigating something I wouldn’t ordinarily seek. P.S. : I’m with you on the Redwoods. I just love their grandeur and they remind me of three months spent working beneath their embracing shade: a summer that truly changed my life. Thank you for your thoughtful comments. I appreciate your health situation and would expect you to only do what you are comfortable with. It’s Your award and you can use the rules as you are able to. I’m very grateful for the thanks and your words about saying a bit about what I like about the blogs. I think turning people on to new bloggers is the main reason I do this, that and to thank them for being so cool and doing such a good job of this work. The Redwoods have changed my life as well, from the first time I saw them I was in love… I’m glad you feel the same. 😉 I hope you enjoy the visits you get from this award and that you find a few sites that you like as well. I always love it when an award I’ve posted gives joy to others. I’m sorry you’re feeling unwell. I understand that, and hope you will take the time you need to follow this award. It’s up to you how you handle it, so do it so it’s not a strain on you. Hello Steve, I’m sorry I haven’t done anything about my Dragons Loyalty nomination from you – YET! – it is a busy time all round, and I want to think about it creatively, also. But thank you! and I really like the way you warm the principle up with everyone. It is as you say, a way for our community to keep in touch, and discover each other. I wonder how the weather you’ve been having is shaping your garden? Thanks for the mention Lorraine. I hope things are going well for you now.